Home Cognitive Behaviour How Sigmund Freud explained an Islamic Concept? How Sigmund Freud explained an Islamic Concept? What has Sigmund Freud got anything to do with Islam? The answer was given 50 years after his death by a very different kind of scholar from the east. 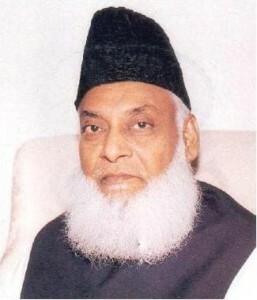 Dr Israr Ahmed, a prominent scholar of Islamic theology hailed from Pakistan. Like his mentors before him ( Maulana Abul-Ala-Mawdudi and Dr. Mohammad Iqbal), he strongly believed that in the modern era, Islam’s message of social reform should be revisited and contextualized in light of the vast data now available from the discipline of humanities. Over the last two centuries, a technological revolution has unfolded before our eyes. It can be argued that in equal measure if not more, progress has been made on the front of social sciences. This advancement has immensely increased our understanding of both human nature and social nurture. The late Dr Isar Ahmed, who passed away in 2010, was a great advocate of understanding the Quran in light of the knowledge embodied in the modern sciences. 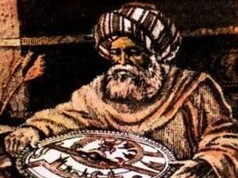 In fact most of his work was based on interpreting the Quran in the contemporary idiom. For example, based on social interaction it is common today to categorize a person into extrovert, introverts or ambiverts. Using this distinguishing criterion Dr. Israr examined the profiles of the companions of the prophet Mohammad (PBUH). 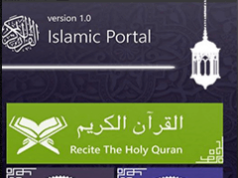 Through this exercise he came to the conclusion that these three categories are close to the classifications of believers mentioned in the Quran. He related introverts to Siddiqeen, extroverts to Shuhada and ambiverts to Sualeheen. A surprising remark made by Dr Israr Ahmed carried praise for Sigmund Freud. To put it in his own words, he said “I was taken aback by the equity of Freud’s observation”. He explains that Freudian theory splits the human psyche into three levels. 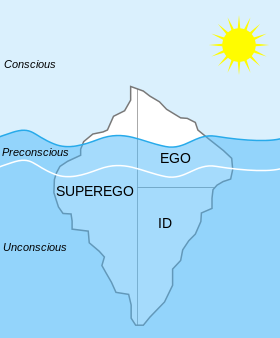 Freud, who is considered the father of psychoanalysis, proposed the division of human psyche into id, ego and super-ego. He first presented this concept in 1920 in an essay “Beyond the Pleasure Principle”. It was derived from his earlier theory called the topographic schema (Conscious, Unconscious and Preconscious). Dr Israr explained that Freud’s theory is very much in-line with the Islamic concept of Nafs (primal instinct), Qalb (heart) and Rooh (soul). “Although”, he adds, “Freud’s concept of ego and super ego has a lot to be desired, but his classification into exactly three categories merits him as a man of great intellect”. 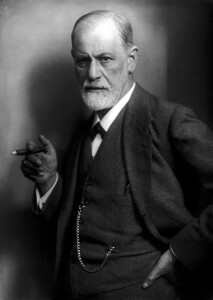 What is Freud’s explanation of human psyche? At this point it would be appropriate to visit id, ego and super- ego and examine how they are different to the Quranic concept of Nafs, Qalb and Rooh. The id is the hedonistic, completely unconscious, impulsive and childlike portion of the psyche that operates on the “pleasure principle”. It is the source of basic impulses and seeks immediate pleasure and gratification. 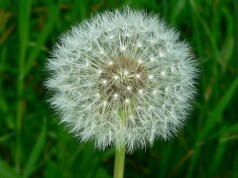 The ego is the part of the psyche that is usually reflected most directly in a person’s actions. The superego contains internalized societal and parental standards of “good” and “bad”, “right” and “wrong” behaviour. They include conscious appreciations of rules and regulations as well as those incorporated unconsciously. What is the Islamic explanation? Nafs is the primal instinct that just like the id is hedonistic; it seeks pleasure and avoids pain. If human beings allow the Nafs to rein supreme, than they will show no better behaviour than that of their mammalian counterparts. The societal vices and etiquettes as we understand would seize to exist. It is this element of Nafs within the human psyche that Islam seeks to control. In fact, contrary to the popular belief, the highest struggle (jihad) in Islam is the struggle against one’s Nafs (Jihad bin Nafs). For individuals looking to serve in the military, Dr. Israr suggests that the priority should be to train them in fighting their inner battle first. This exercise, he adds, would make any unit wielding power to be just, responsible and magnanimous. It is unfortunately this lack of this self-impeachment mechanism that leads undisciplined men picking up arms and committing atrocities. The Qalb according to Dr. Israr is in a perpetual state of change. At times it is pulled by Nafs on one side and Rooh on the other. 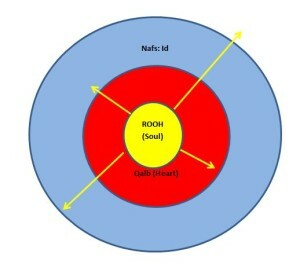 The struggle to tilt the Qalb (the present restless state) of a person towards the Rooh, should be the aim of every Muslim which will lead to the state of “Nafs-e –Mutmainna” or the reassured soul. 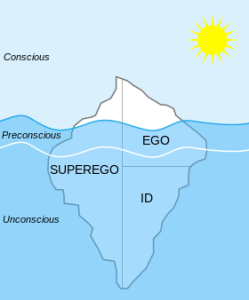 According to Freud the super-ego is the moral component of the psyche, which takes into account no special circumstances in which the morally right thing may not be right for a given situation. Therefore it’s absolute in its nature. The Rooh however is different; it can conflict with the Qalb but can never isolate itself from it. Unlike the super-ego which is to an extent detached from ego, Dr Israr explains the Islamic concept is that the Rooh (soul) rather resides in the Qalb (heart). Giving the reference of Surah Noor (Chapter 24: Verse 35), he explains that the heart can be imagined as a glass pane of a lamp while Rooh is the flame within the lamp. If a person is more inclined towards the id, than the glass gets covered with soot. The prophet (PBUH) himself used the metaphor of a black dot on the heart for every bad deed. On the other hand if the glass is clear, than the flame not only enlightens a person’s own id but can also project the light further and positively influence others. This projection in popular culture is understood as the aura of a person. The synthesis of theology with modern science broadens our horizons. 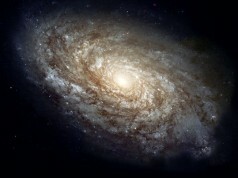 Many a concepts that have been historically misunderstood or have remained unexplained should be revisited. They expand human capacity and increase intellectual capital. Dr. Israr has lead the way in this regard. Another significant effort by the scholar that is worth mentioning was his examination of prophet Mohammad’s (PBUH) struggle in propagating the message of Islam and it’s efficacy. 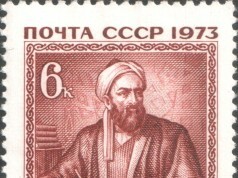 He compared the effort with other successful historic revolutions and was able to ascertain unique conclusion which he termed “The revolution theory”. This theory sparked interest in the west and it became the subject of doctoral research (at University of Maryland). Schacter, Daniel L. (2011). Psychology Second Edition. 41 Madison Avenue, New York, NY 10010: Worth Publishers. pp. 482–483. ISBN 978-1-4292-3719-2.